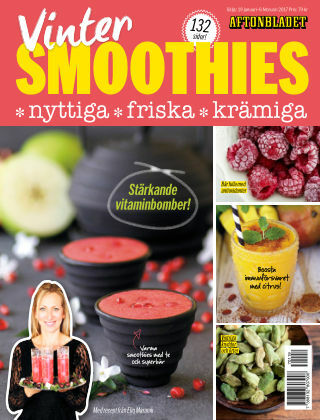 With Readly you can read Vintersmoothies and thousands of other magazines on your tablet and smartphone. Get access to all with just one subscription. New releases and back issues – all included. SMOOTHIES nyttiga * friska * krämiga Varma smoothies med te och superbär Bär fulla med stärkande antioxidanter vitaminbomber! Med recept från Eliq Maranik 132 sidor!